With a leaden economy, many small and midsize businesses are looking to cut costs wherever they can. As they search for alternative services that offer quality and cost efficiency, many turn to VoIP solutions. Switching from costly landline telephony service to VoIP offers a quality solution with a much lighter price tag. Yet while VoIP offers smaller businesses the chance for a larger appearance, there are still a number or necessary factors that SMBs should consider before deploying VoIP solutions. Budget: Before switching to VoIP SMBs should define their available budget. Additionally, one should keep in mind the services they want/require, as well as the number of lines required as they may impact pricing options. Addressing these will allow for a better narrowing of potential providers, as well as provide a starting point. For example, RingCentral, 8×8, Inc., and Nextiva are all reputable VoIP providers that offers various service plans. Each provider offers a host of standard services including unlimited calling to the US and Canada, Internet Fax Lines, and extensions; 1000 toll free minutes per month for your company; Caller ID and three way calling; (visual) voicemail; virtual receptionist with dial by name, music-on-hold, and departmental support; advanced call forwarding, screening, and recording rules; transfer call between phones in real time; Microsoft Office and Box Integration; and Mobile apps for Android, Blackberry, and iOS smartphones. However, some have premium packages, which include more advanced add-on features. Additionally, costs are typically charged monthly and are based off of the number of lines (and features where applicable). 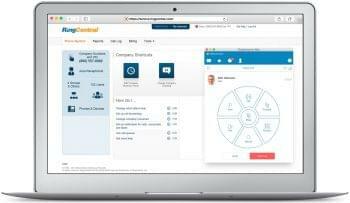 RingCentral: All service plans come with the same features. Pricing varies depending on the number of lines. $40 per month for a single user, $30 per month per user for 2-20 users, $22 per month per user for 20-99 users, and $20 per month per user for 100 users or more. Again, the standard features (above) are available to every user with no additional add-ons available (except for adding fax lines for $5 per month each). 8×8, Inc.: Cost is determined based on the number of lines and the service plan; however, each plan comes equipped with standard features (above). 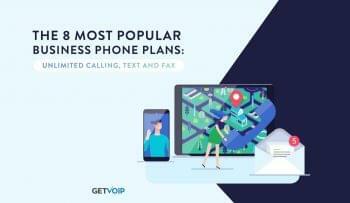 There are three plans: Unlimited Extension, which allots unlimited calling to the US, Canada, France, Guam, Us Virgin Islands, Puerto Rico, Italy, Ireland, UK, and Spain, and is $29.99 per month (one time set up fee $39.99); Metered Extension, which offer 250 free minutes of calling to US and Canada with additional 2.9 cents a minute after, and is $24.99 per month ($39.99 one time activation); and Global Extension, which allots unlimited international calling for $79.99 per month ($39.99 one time activation). While standard features are included, there are also additional features available for additional add-ons. Nextiva: Cost is again charged monthly based on the number of lines. Pro costs are $34.95 per month for 1-4 lines, $29.95 per month for 5-20 lines, and $19.95 per month for 21+ lines. Enterprise, however is $44.95 per month for 1-4 lines, $39.95 per month for 5-20 lines, and $34.95 per month for 21+ lines. Nextiva offers two service plans, Office Pro and Office Enterprise. Where Office Pro offers the standard features (listed above), Office Enterprise offers standard features as well as Hoteling Hosting, Multiple Call Arrangement, Nextiva Anywhere, Outbound Call Control, Outlook Integration, Nextiva Toolbar, Remote Office, Video on Hold, Virtual Enterprises, and Pre-Alerting Announcement. Each provider offers a wide range of features, plans, and pricing options; however, the needs of each SMB ultimately dictate which provider will suit them best. Network(s): When dealing with VoIP it is important to make sure that the network, both internally and externally (if applicable), is able to support the system and service. VoIP utilizes both data packets and voice packets, in its service; therefore, the networks internal infrastructure should be able to support voice packets and their sensitivity to time (as they require it to work well). In doing so, the network should be able to prioritize voice traffic, as well as allot the appropriate bandwidth required to ensure quality service. Additionally, if an SMB employs external network usage (via trunking or other services) the type of network connectivity needs to be addressed. For example, the use of multi protocol label switching, or MPLS, is often used for both site to site connections, as well as remote uses (where applicable). This technology helps to better control the prioritization of voice packets over the WAN. Aside from connection type, external networks should also be able to support bandwidth for both voice and data packets as needed to ensure quality. Bandwidth: Despite both internal and external networks accounting for bandwidth availability, it is the responsibility of the SMB to determine the projected bandwidth needed before choosing a business VoIP phone service. Bandwidth is simply the amount of information that can be sent and received via internet connection in a certain period of time. VoIP requires a certain amount of bandwidth in order to maintain quality. As a result, one will need a high speed broadband connection to use VoIP. Typical DSL connections are rated at around 600 kbps for upload stream and 5000 on the download stream. To determine the bandwidth necessary, determine how many people will likely use the phone simultaneously. For example, ten people using the phone will require ten times as much bandwidth as having one person on the phone. Additionally, many providers offer coding to account for the tradeoff between quality and bandwidth usage. For example, Full Quality Audio (G711 Codec) uses 87 kbps for each concurrent phone call. So, to determine the broadband take the DSL connection at 600 kbps upload/5000 kbps download and apply it to the appropriate coding, here (Full Quality) at 87 kbps. So, 600kbps/87kbps allots for 6 concurrent calls. If you want to check the speed of your connection right now, use our quick and easy free internet speed test. Security: As with any service or system having the necessary security is imperative. Many VoIP solutions have a number of security functions that come standard. Some include encryption, caller ID, Emergency Services (911), Caller locations, NAT gateways, Quality of Service indicators, authentication via password, password lockout, etc. Despite these standard features, there are other risks that are often unaccounted for including call tampering, Spam, DoS (denial of service), VoIP Phishing, and more. Additionally, various vulnerabilities such as weaknesses in an implementation, configuration, or protocol continue to be reported; however, the current threat level is widely considered to be only moderate as VoIP systems are not more widely deployed. Regardless, the internet does not allot the same physical security as phone lines. 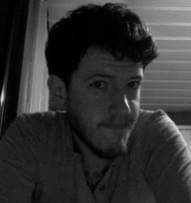 So in order to better secure VoIP use security mechanisms similar to those used in data networks (i.e. encryption, firewalls, etc.) to emulate landline security. Most providers include security features in the cost of the service; however, security features should be clearly specified before selecting a provider. Hardware: Aside from the selected provider’s service, quality will also be due in part to hardware used to connect to employees to the system. As there are a number of different devices available, it is crucial to narrow which option would be best suited for each employee. Digital IP Phones retain the classic look of a multi line business phone; however, they connect directly to the internet using a network cable. Another option is an Analog Telephone Adapter (ATA), which are little boxes that connect regular analog phones to your router. WiFi phones look and act like mobile phones; however, they connect to the offices wireless router. 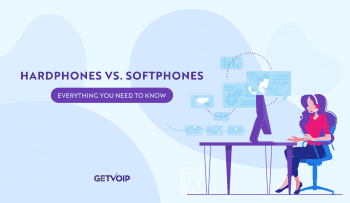 Softphones are software programs that make calls from one’s laptop or desktop using a USB headset. There are many more various choices that range in hands free mobility to desktop applications. Alternative Powering Plan(s): VoIP solutions can be used in addition to landline services; however this does not provide the cost efficient benefit of VoIP. Yet in choosing to use VoIP (without a landline) SMBs face the possibility of power loss and outages. While this can be due to a number of factors both internal and external, it is important to have a plan of action in case of an event. SMBs need to consider how to provide power redundancies for their systems. One way is by installing battery backups such as Power over Ethernet (PoE) and/or Uninterruptible Power Supplies (UPS). PoE tech allots VoIP phones power through network cables as opposed to wall plugged power adapters. UPS devices employ a built in battery that keeps network devices operational during power outages. Additionally these solutions can be used together. By using a PoE switch (typically located by router and cable modem) one’s phone systems can be powered by a unified source, as well as get backed up by a UPS. Though the above factors seem basic enough, they are all crucial to the successful selection and operation of SMB business VoIP. It is important for SMB owners to understand that they will need to prepare for VoIP deployment much as a bigger company would. There are a number of other factors SMBs should be aware of, as this is not a holistically inclusive list; however, these are 10 of the most crucial SMB VoIP requirements.